On the heels of learning about the upcoming Callan audio dramas from Big Finish (see Interview: Callan at 50), I'm also thrilled to see Big Finish has officially announced their release of a new audio adventure based on The Avengers novel, Too Many Targets. From the press release: "The iconic Sixties series returns in a new audio adventure – and this time John Steed will be reunited with a whole host of his former colleagues. 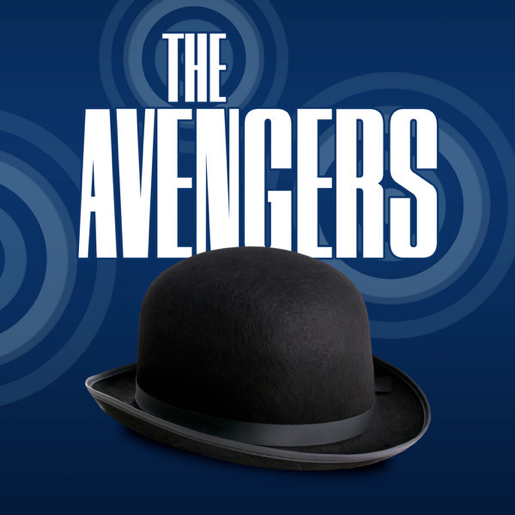 In The Avengers: Too Many Targets, John Steed collaborates with Dr David Keel, Mrs Emma Peel, Mrs Cathy Gale and Miss Tara King in a new adaptation by John Dorney, taken from the 1990 novel of the same name, by John Peel and Dave Rogers. Two agents are dead, and their murderers sound worryingly familiar. A killer gorilla is on the loose, a deadly disease is ravaging a distant country and an eminent Doctor has been kidnapped. It’s all pretty much business as usual. But when John Steed is called in by his old boss and given an appalling task to complete at the same time as Tara is given one that’s even worse, it becomes clear that the myriad threads of a terrifying scheme are drawing together. The fate of the world hangs in the balance. Steed won’t be able to handle this case alone. The Avengers are needed. All of them. The role of the dapper spy, John Steed, will be reprised by Julian Wadham (The English Patient, The Iron Lady, Outlander) who has played the role in 34 The Avengers episodes produced by Big Finish Productions. Standing by his side will be Olivia Poulet (Back, In the Loop, The Thick of It, Sherlock) reprising the role of Mrs Emma Peel (from Big Finish’s The Avengers Comic Strip Adaptations), and Anthony Howell (Foyle’s War, The Other Boleyn Girl, Dracula) as Dr David Keel (from The Avengers: The Lost Episodes). Lucy Briggs-Owen (Doc Martin, Midsomer Murders) also returns as Carol Wilson, Keel’s devoted nurse." More info at Big Finish. I remember reading the novel when it came out in 1990 and being pretty excited to see Steed reunited with all of his partners. It will be fun to see how the new audio adaptation turns out! Related posts: Interview: Alan Hayes (early Avengers Book), The Prisoner Audio Review vol 1, The Prisoner Audio Review vol 2, Avengerworld Book, Umbrella Man. Selected Spy Vibe Posts: Interview: Interview: Callan At 50, Interview: Playboys, Spies, Private Eyes, TWA Returns, Spy Vibe Radio 8, Interview: Ryan Heshka, Mid-Century Modern Schulz, Agent Werewolf, Mata Hair Exhibit, Johnny Sokko 50th, Interview: Trina Robbins, Eddie Izzard, The Prisoner Capt Scarlet 50th, Hugh Hefner R.I.P., Jack Good R.I.P., Interview: Shaken Not Stirred, Callan 50th, Spy Vibe Radio 7, The Prisoner 50th Event, Spy-Fi Event, Kaho Aso 007, Two Million, Bo Diddley, Carnaby Pop, Le Carre Events, Billy Bragg Skiffle, Elvis 68, Jack Kirby The Prisoner, Casino Royale Concert, Review: The Prisoner Vol 2, Interview: The Prisoner Essential Guide, Maud Russell Mottisfont, Spy Vibe Radio 4, Batman Gallants, Adam West R.I.P., Village Triangle, Roger Moore R.I.P., Spy Vibe Radio 3, Sgt Pepper 50th, Satanik Kriminal OST, 60s Overdrive, Make Love in London, Spy Vibe Radio 2, Spy Vibe Radio 1, James Bond Strips, Propaganda Mabuse, Interview: Police Surgeon, XTC Avengers, 1966 Pep Spies, Batman Book Interview, Exclusive Fleming Interview, Avengers Comic Strips, Robert Vaughn RIP, UNCLE Fashions, Thunderbirds Are Pop!, Interview: Spy Film Guide, Lost Avengers Found, The Callan File, Mission Impossible 50th, Green Hornet 50th, Star Trek 50th, Portmeirion Photography 1, Filming the Prisoner, Gaiman McGinnins Project, Ian Fleming Grave, Revolver at 50, Karen Romanko Interview, Mod Tales 2, Umbrella Man: Patrick Macnee, New Beatles Film, The Curious Camera, Esterel Fashion 1966, Exclusive Ian Ogilvy Interview, 007 Tribute Covers, The Phantom Avon novels return, Ian Fleming Festival, Argoman Design, Sylvia Anderson R.I.P., Ken Adam R.I.P., George Martin R.I.P., The New Avengers Comics, The Phantom at 80, 007 Manga, Avengerworld Book, Diana Rigg Auto Show, The Prisoner Audio Drama Review.